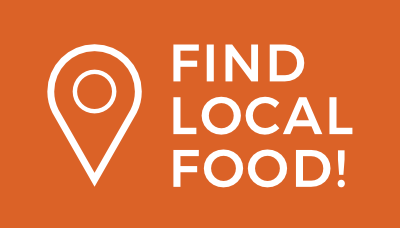 “Eat local,” “buy local,” “local food movement,” “local food systems,” “locavore”—all of these terms boil down to the simple belief that eating food grown close to where you live and supporting local farmers is important. While there is no universally agreed upon deﬁnition of “local food,” most people consider food grown within around 100-250 miles as local. Generally, local food tends to be produced by small family owned farms that sell mostly direct-to-consumer via farmers markets, farm stands, or Community Supported Agriculture (CSA), which is a monthly vegetable subscription. 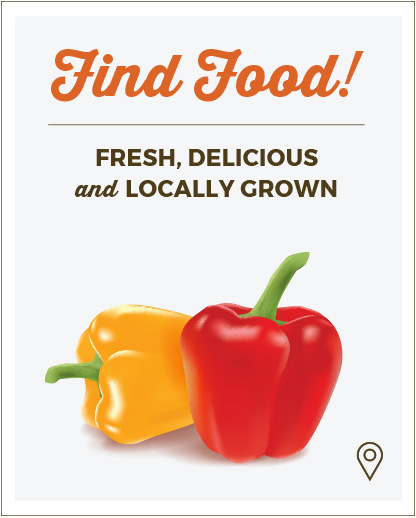 The beneﬁts of eating local are plentiful. Local food travels far fewer miles from farm to fork, making it better for the environment since fuel and truck pollution are lessened. Food straight from a farm is also fresher, often harvested at peak ripeness and sold right away, maintaining the food’s key nutrients. Small, local farms grow an incredible diversity of food including heirloom varieties typically not found in grocery stores due to their fragility and inability to travel well on trucks. When you purchase local food, those dollars also stay in your community and support family farm businesses, rather than leaving the state. As humans, we need food to sustain us, so we all play a role in the food system. A food system is all of the activities involved in feeding people: the production, processing, distribution, transporting, access, consumption, disposal, and recovery of food. In sustainable community food systems, partners in all sects of the system collaborate to enhance the health, environment, and resilience of a community. Lake County boasts an active, robust local food scene. The County is stocked with farmers markets, farm stands, and small farms growing food to feed communities across the region. 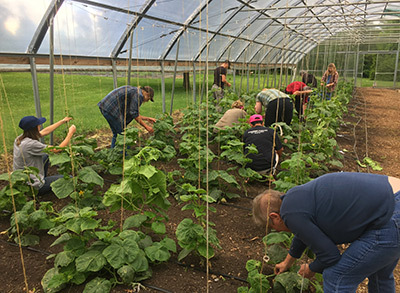 Lake County has one of the region’s only incubator programs for beginning farmers to help launch new farm businesses, an exceptional sustainable agriculture degree program at the College of Lake County, and a county government supportive of local food production and initiatives. There are also many groups growing food to feed vulnerable neighbors with limited access to fresh food. Inspired by the County’s momentum, groups have come together over the years to work toward a stronger food system. In 2012, a group of public and private stakeholders, led by the Chicago Metropolitan Agency for Planning (CMAP), released the Lake County Sustainable Local Food Systems Report, which identified trends and opportunities in the system. This body of work also includes an informational brochure and a micro-site about the County’s food system. The Lake County government also recently created this helpful video encouraging residents to shop local and support Lake County farmers. There is no shortage of ways to get involved in your food system: buy local food whenever you can, join a CSA, learn how to grow and preserve your own food, or volunteer your time with groups working to get fresh food into communities with limited access.